the salesman assured her that it would repeat any word it heard. 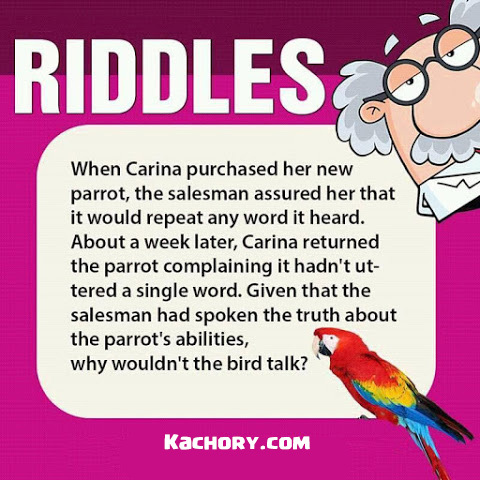 Carina returned the parrot complaining it hadn't uttered a single word. Why wouldn't the bird talk ? The parrot wouldn't speak as the parrot didnot hear anything.